Every plumber knows they need a website. But oftentimes the challenge is assessing the performance of that website as it relates to lead generation. There’s many avenues plumbers use to get a website up for their business. Sometimes they hire a web design company who also performs search engine optimization (SEO) services. Other times they have a relative or family friend make the website for free. There’s even contractors who make a website on their own using DIY web development platforms like Wix, Weebly, or SquareSpace. Which route a plumber goes often depends on budget, knowledge of digital marketing and local competition. Whichever choice is made, is important that contractors can grade their site’s performance. This can be achieved by tracking KPI’s or Key Performance Indicators which we will discuss below. A Key Performance Indicator (KPI) is one or more metrics that are indicative of business success. In regards to a website, a KPI would predict the success or failure of a website. Strong KPI’s are quantifiable so that they can be precisely measured without ambiguity. Similarly, KPI’s that are aligned with a plumber’s overall business goals are most valuable. Although Google Analytics is a valuable tool plumbers still must use the metrics within the context of their overall business goals. For example, goal conversions cannot be confirmed unless a prospective customer reveals their action by calling your phone number from the website. 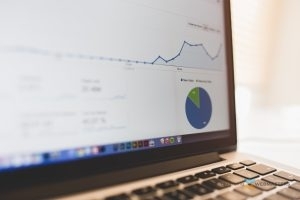 Defining your own objectives and quantifying them through Google Analytics is key. If your site’s performance is suffering based on KPI metrics it could be time to reassess your digital marketing campaign. For one, hiring a different web designer can be helpful. Ideally it is someone who understands search engine optimization and Google Analytics so that you can precisely measure performance going forward while also targeting specific keywords in your area. Plumbers using template websites may suffer from inferior metrics for reasons that are outside of their control. One such example of this is schema markup or lack thereof. Template websites usually lack the depth of schema code required to help Google parcel data which can become an indictment on the website’s rankability. Custom websites typically perform better online. Not only is there more schema markup within the codebase but the codebase in general is “cleaner” and more conducive to the qualities Google favors like site speed, crawlability, etcetera. Plumbers are sometimes mislead into believing their existing website is custom when in fact it is a theme-based template that has been used on many other web pages throughout the internet. KPI’s can help lead plumbing contractors down the right path because monitoring performance is what often reveals whether or not it is the appropriate time to make a change. If you feel the time is now to invest in a custom website for your plumbing company, contact Plumbing Webmasters today. Updated on April 10, 2019 at 4:30 pm by Plumbing Webmasters.